Esplendor De Buenos Aires, Buenos Aires discount hotels and accommodation. The first hotel opened in Buenos Aires is reborn as a new city icon. 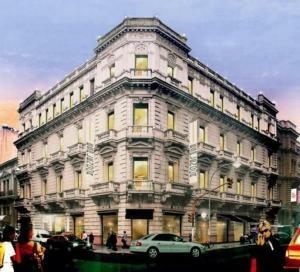 Phoenix Hotel reopens its doors as ESPLENDOR DE BUENOS AIRES. Combining the classic facade of a historical building, totally modernized interiors and state of the art design where each object was conceived to create this unique place. Esplendor de Buenos Aires is the finest hotel proposal for travelers who look for the perfect combination of Service, Comfort and Design. View photos, room descriptions and make online reservations at Esplendor De Buenos Aires. Save on room prices at Esplendor De Buenos Aires, Buenos Aires.